InterAction Forum provides you with an unequaled opportunity to increase your visibility and grow your network. 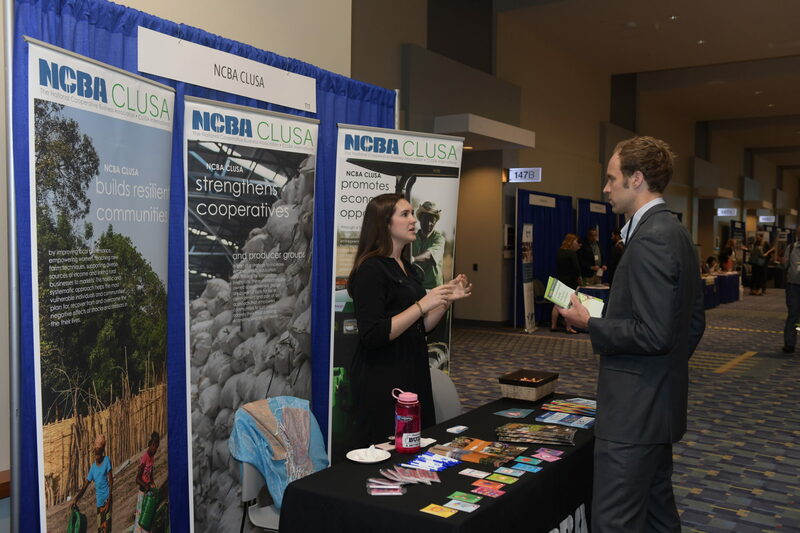 As a conference sponsor, your organization will reach a core audience of professionals who stretch across all areas of global development and humanitarian professionals, agencies, and organizations rarely under one roof together. Sponsorship is a proven, effective tool to increase brand awareness, drive traffic to your booth, and position your organization as an industry leader. Choose from one of our sponsorship packages or work with our team to build a custom program to meet your company’s needs. To explore sponsorship options in further detail and confirm availability, please contact: Forum@InterAction.org. Forum’s exhibitors are a vital element of the InterAction Forum, presenting a wide range of resources for our community. More than 800 participants will attend InterAction Forum 2019 to see the newest technology, find new suppliers, learn about best practices, and network with colleagues and industry leaders. Exhibit move-in must be completed by 5 p.m. on Tuesday, June 11. No portion of any exhibit may be dismantled and/or removed before 1:30 p.m. on Thursday, June 13.